On the 10th of August 2017, representatives of the European Foundation of Human Rights (EFHR), Leszek Jankowski and Maciej Grześkowiak, took part in a meeting with representatives of the local Polish minority at the Rudowsia village, located in Niemenczyn county. The meeting aimed at familiarising village residents with rights, to which minorities are prerogative by virtue of international and Lithuanian law, and at comparison between Polish and Lithuanian protection of national minorities. The meeting was opened by Maciej Grześkowiak, an intern of EFHR, who briefly talked about the history and activity of the EFHR, as well as presented the situation of national minorities on the grounds of Polish law. He discussed the condition of respecting the rights of minorities, both arising out of Polish legal acts and of actual efforts of authorities. Further, the lawyer of our Foundation, Leszek Jankowski, presented the standard of protection, resulting from international commitments of Lithuania and its internal legislation. So, the listening public had a chance to compare the functioning of national minorities protection systems in Poland and Lithuania. The lawyer also presented the contemporary problems the Foundation deals with. 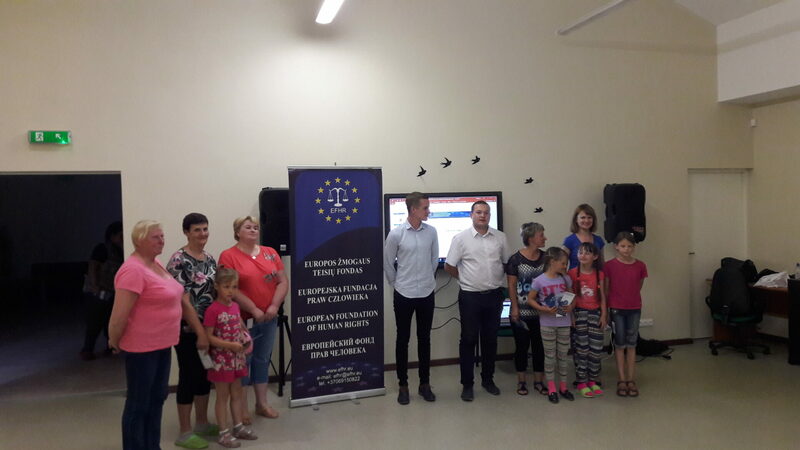 In the end, people gathered in the Multifunctional Centre in the Rudowsia village had a chance to ask the representatives of EFHR questions on subjects they were interested in. EFHR would like to thank the Municipality of Niemenczyn district for hospitality and chance to familiarise the residents with rights of national minorities. 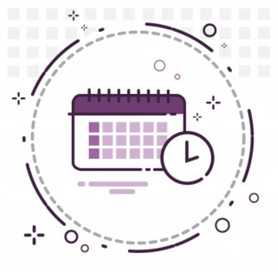 Everyone, who is interested in providing complimentary trainings by EFHR at work place or in an educational establishment, is invited to email (mokymai@efhr.eu) or telephone contact (+370 691 50 822).